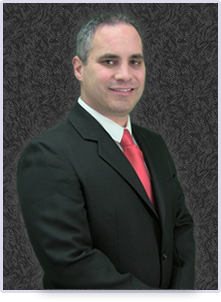 Dr. Coppel has resided in Las Vegas since 2006. He was born in Mexico and later moved to Tuscon, Arizona with his family. Dr. Coppel graduated with honors from the University of Arizona with a Bachelor’s Degree in Chemical Engineering. He earned his medical degree in 1996 from the University of Arizona School of Medicine. He then moved on to complete a one year medical internship at St. Francis Hospital in Evanston, Illinois. His residency in Anesthesiology and Critical Care was done at the University of Chicago Medical Center in 2005. Lastly, he sub-specialized in the field of pain medicine by completing an interventional spine and pain management fellowship at Johns Hopkins University in Baltimore, Maryland in 2006. Dr. Coppel is Board certified by the American Board of Medical Specialist in the fields of Anesthesiology with Critical Care and Pain Medicine. Since establishing his practice in Las Vegas in 2006, Dr. Coppel has been proud to be one of the first physicians that utilized a multidisciplinary approach to the management of painful medical conditions. This multidisciplinary approach has allowed him to achieve success in patients where others have failed. While doing his medical training at the University of Chicago Medical Center and Johns Hopkins University, Dr. Coppel had instilled in himself the love of learning. Since arriving in Las Vegas he has sought out and received additional training in Addiction Medicine and as an Independent Medical Examiner. Dr. Coppel is the only physician in the state of Nevada that is trained in the specialties of Pain Management, Anesthesiology and Critical Care, Addiction Medicine, and as an Independent Medical Examiner. Through his collaborations with Johns Hopkins University he has helped publish numerous journal articles on topics regarding pain medicine and interventional procedures. His outgoing personality and wealth of knowledge has also made him a sought out lecturer at local, national, and international scientific meetings. His continued dedication to the advancement of the field of pain management has made him a leader among his peers locally, nationally and internationally. On a personal note, Dr. Coppel has been very active in a variety of community outreach programs that have helped provide medical care to underserved areas in Nevada. Given his Hispanic heritage and the fact that he is fluent in Spanish, he has been particularly interested in serving the Hispanic community. He is the founder and current president of the Nevada Latin American Medical Association. As the founder and current president, he has helped coordinate community health fairs, school outreach programs, and scholarship programs for the Hispanic community.